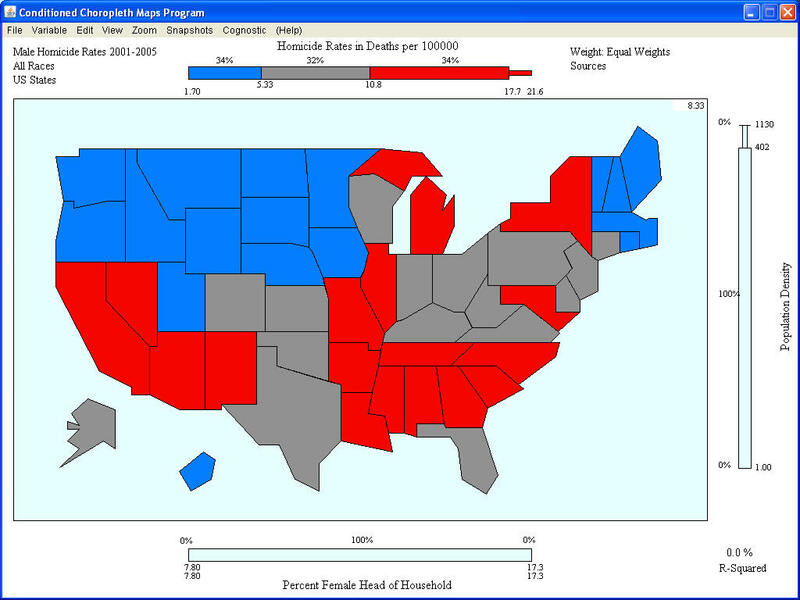 Classed chorpleth maps are a type of choropleth map that shows the color intensity for the map shown. This map shows the homocide rates for males in the United States for 2001-2005. The states are all divided into red, blue, and gray colors representing homocide rates within each. The blue states show a low chance of it happening, while the red states show a high rate of it. The gray states are in the middle.